Ops-Core Mandibles provide additional face protection from blunt trauma, ballistic threats, and blast shockwaves. Pair with an Ops-Core Visor for complete eye and face protection. 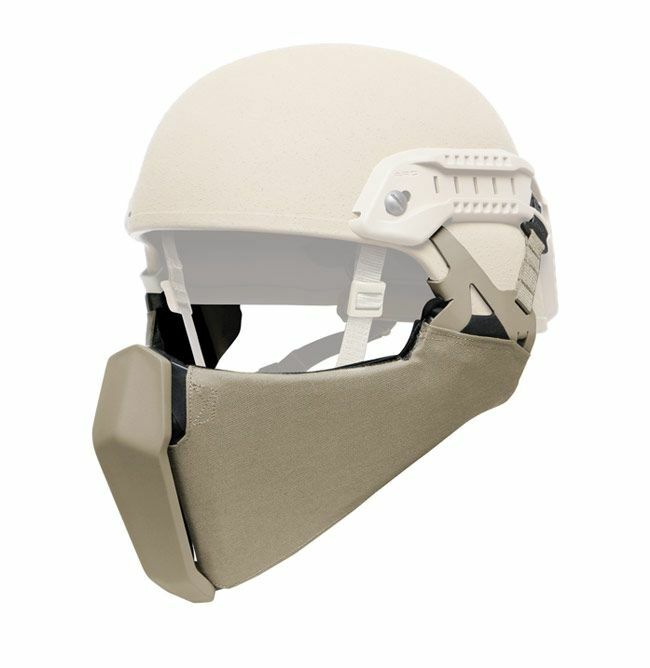 Provides additional face protection from blunt trauma and ballistic threats. Compatible with Ops-Core FAST MT Super High Cut and XP High Cut Helmets. Uses two levels of ballistic protection to provide lower face protection from IED fragments, rough terrain landings (airborne), and debris encountered during off-road vehicle missions. Flexible frame allows a close stock weld, and results in minimum interference when sighting shoulder-fired weapons. Folds conveniently to fit into rucksack or other storage. Quick and tool-less attachment to the Ops-Core FAST Side Rails. 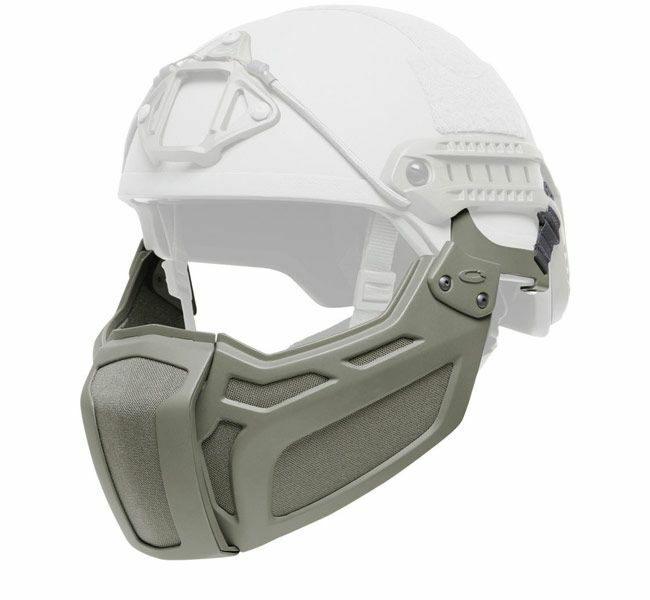 Designed for Ops-Core Sentry XP and LE Mid-Cut Helmets. Provides additional face protection from ballistic and blunt impact. Pair with an Ops-Core Sentry Visor for complete eye and face protection. Unique patented hinge front system provides natural ventilation, which greatly reduces lens fogging, while increasing user comfort. A seamless connection to the Sentry ARC Rail System leaves space for mission critical accessories and components such as cameras, illumination, and other adapters. Folds in half for compact storage and less displacement in a ruck sack or back pack. Tool-less installation and fit to the helmet is easy via the connecting straps that can be adjusted to ensure proper fit and function. Can be donned and doffed with one gloved hand. Designed with Low-Reflective and Low Infra-Red (IR) signature characteristics. Available in Urban Tan, Foliage Green, and Black. Pair with an Ops-Core ACH Visor for complete eye and face protection. A seamless connection to the Ops-Core ACH Accessory Rail Connectors (ARCs) or ACH Skeleton ARCs leaves space for mission critical accessories and components such as cameras, illumination, and other adapters. Sold separately or with the Ops-Core ACH Visor as a complete upgrade kit for U.S. Army ACH, USMC MICH Type II, and/or Gentex TBH-II and TBH-IIIA Helmet Systems. 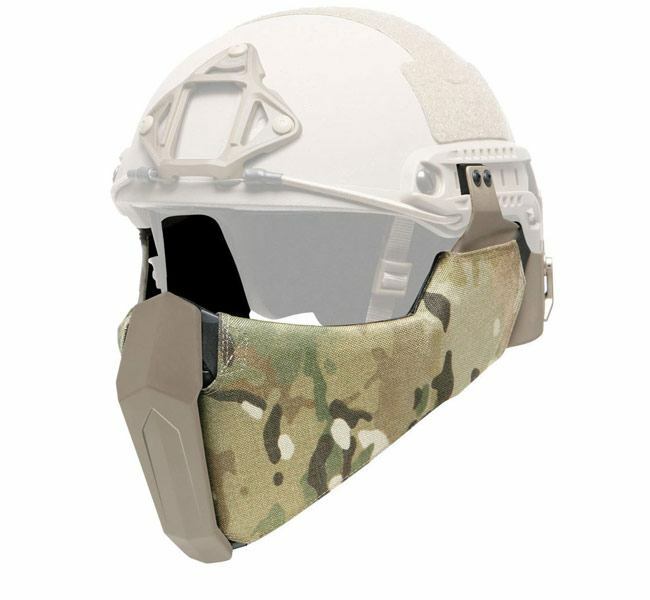 Designed for U.S. Army ACH, USMC MICH Type II, and Gentex Low Cut Tactical Ballistic Helmet Systems helmets equipped with Ops-Core ACH ARCs or ACH Skeleton ARCs.